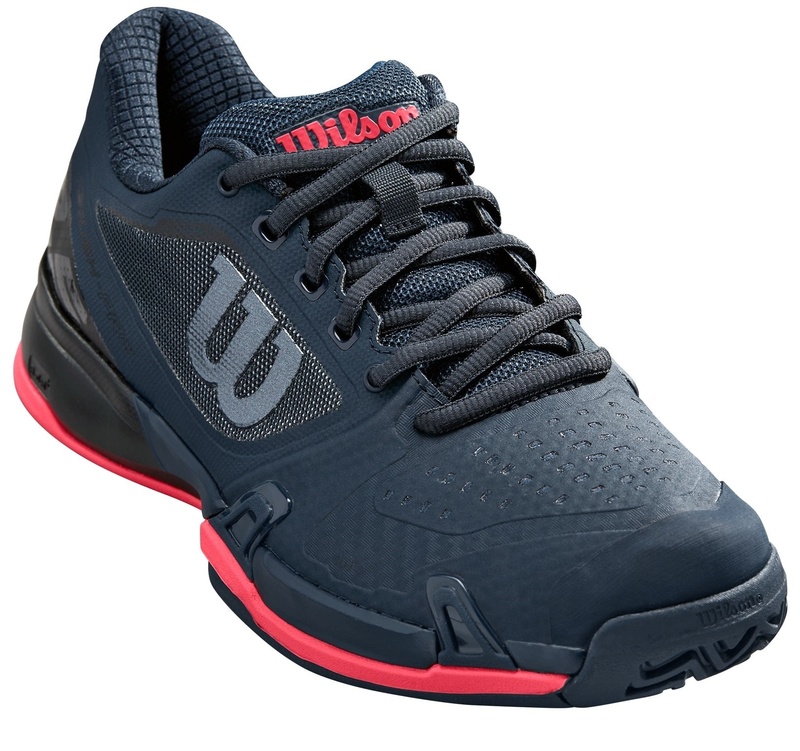 The Wilson women's Rush Pro 2.5 tennis shoe in blueberry, black and paradise pink is Wilson's feature shoe for maximum durability and stability. This update is engineered with the same low profile design with added comfort. 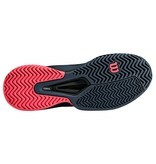 The upper now comes with a more form fitting and flexible material, giving this shoe immediate slip-on comfort. 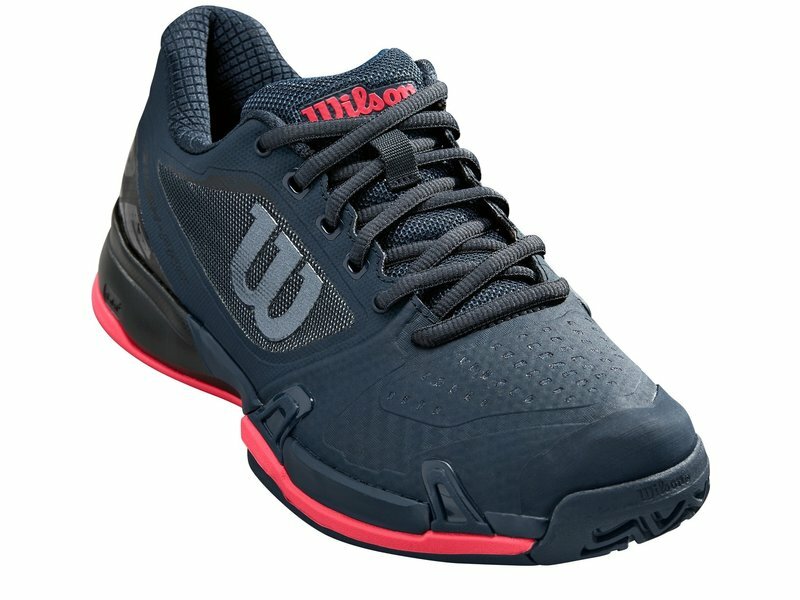 Low profile cushioning, added comfort, stability and durability make this shoe a great choice for any tennis player looking for a shoe that can go the distance. 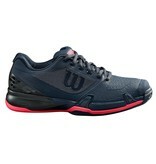 Upper: Lightweight upper reinforced by 3D-F.S technology for added security, form-fitting and responsiveness. 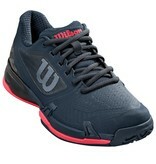 Midsole: R-dst+ midsole provides decently low-profile cushioning without sacrificing too much on impact comfort. 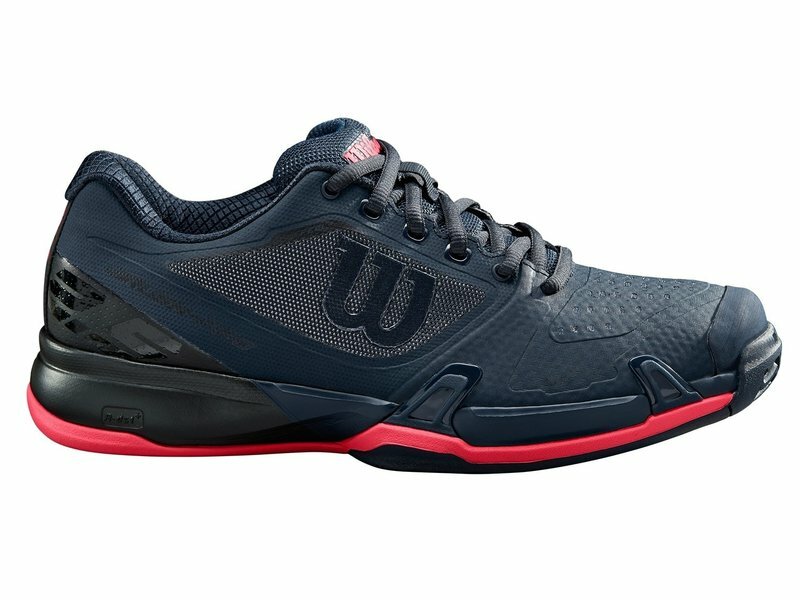 The Pro Torque Chassis provides this shoe with excellent torsional stability while still encouraging natural foot movement. 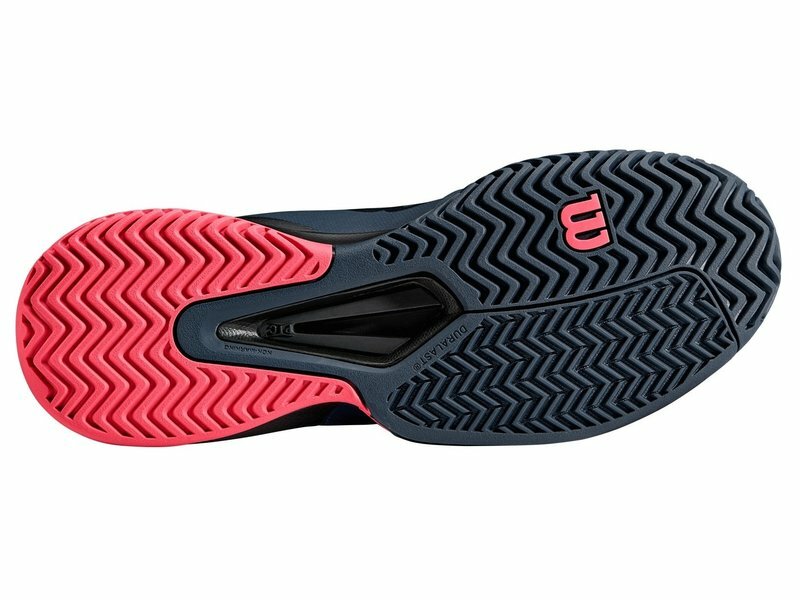 Outsole: Duralast rubber outsole with a modified herringbone tread pattern provides excellent court traction and durability on all surfaces.